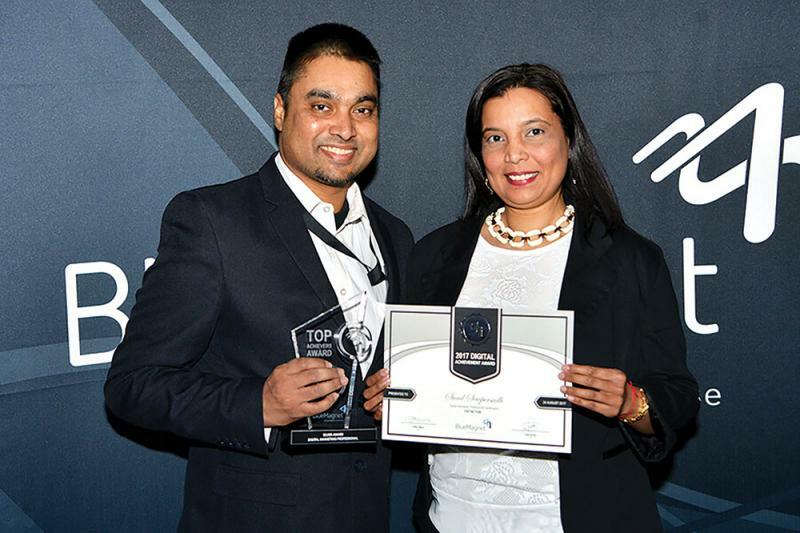 Sunil Sewpersadh from Digital Mindclub beams with pride as he receives his Top Achievers Award for the Overall Top Digital Marketing Professional 2017 with Revash Buddan. 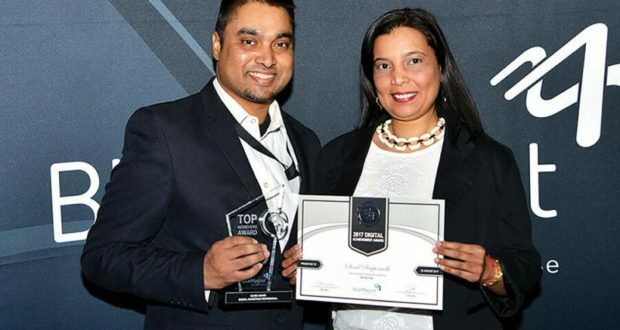 KwaZulu-Natal: Sunil Sewpersadh of Digital Mindclub was recently awarded the Overall Top Digital Marketing Professional for 2017. Digital Mindclub will be hosting their popular digital workshop that is set to equip your staff with the skillset that will take your business into the digital landscape of today. The workshop a hands-on practical session that’s suited for start-ups, business owners, students, creatives and entrepreneurs. In the workshop Sunil will divulge real tips on how to grow your business using Digital Marketing, Social Media, Email Marketing and much more. Identify smart digital tools and resources to assist with your ongoing work after this workshop. Sunil says that his aim in the workshop is to teach his candidates how to work smart, instead of working hard. Sunil will reveal industry traits that will equip those who attend with skills and knowledge of digital media elements including website design, social media and email marketing. Some of the skills you will adopt from the course include how to launch a website that delivers your intended message to your specific target market, how to use the latest Social Media concepts to build strategy and optimise your campaigns and how to manage Email Newsletter campaigns that will keep you in touch with your existing clients and recruit a whole lot of new ones. The course is scheduled for Tuesday the 24th of October 2017, from 9am to 4pm and will be held at 97 Innes Road in Morningside, opposite the Mosque. Lunch and tea and coffee will be served and the course is suitable for anybody and everybody who is looking to grow their business. To book your space and ensure you get up to speed with these skills visit http://www.digitalmind.club . You can contact Sunil by email on sunilsew@gmail.com / info@digitalmind.club or call 031 825 2340 or WhatsApp 081 714 6525 for more information. The course costs R1 499 per delegate, however IndianSpice readers who book before the 20th of October will get the special rate of R999, so don’t miss out, book today!